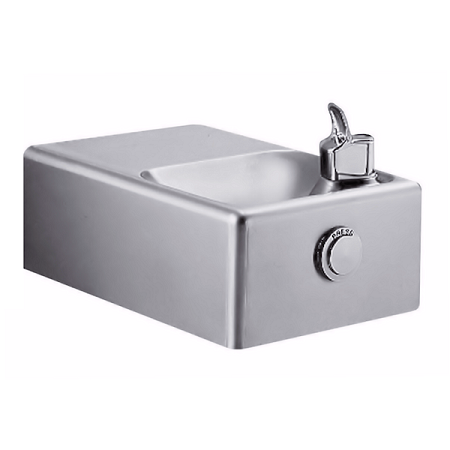 The Oasis F140PM wall mounted water fountain features a single mechanical push-button located on the cabinet front which keeps water flowing while the button is depressed for convenience. Sleek straight edges with rounded corners look pleasant on the eye and also make this fountain comfortable to drink from. An ideal fountain for users in need of a plentiful yet simple hydration solution in public spaces especially on those hot summer days. The basin also extends from the wall in order to be accessible for wheelchair users. The standard cabinet finish is Stainless Steel or optional Regency Bronze finish is available at an additional cost.